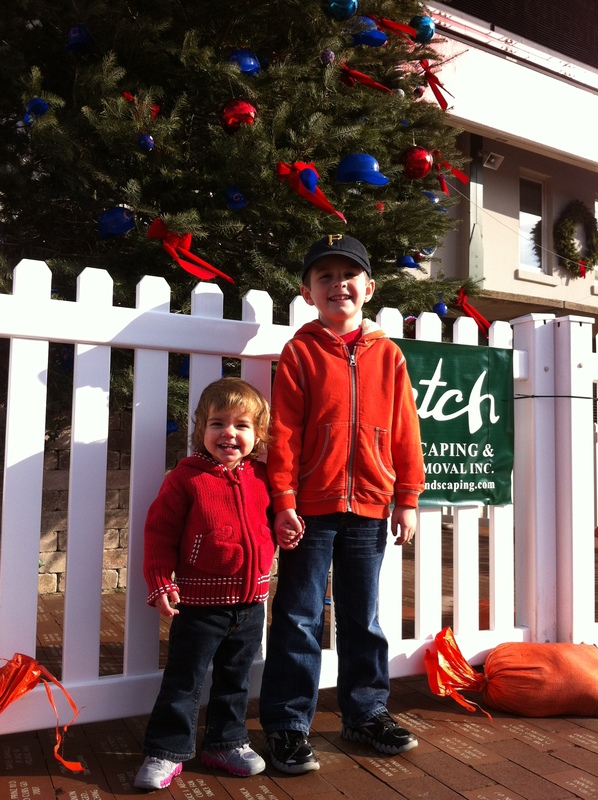 2011-12-31: My usually terrible photodocumentation of Christmas time is marginally less terrible this year. Marginally. Slightly. 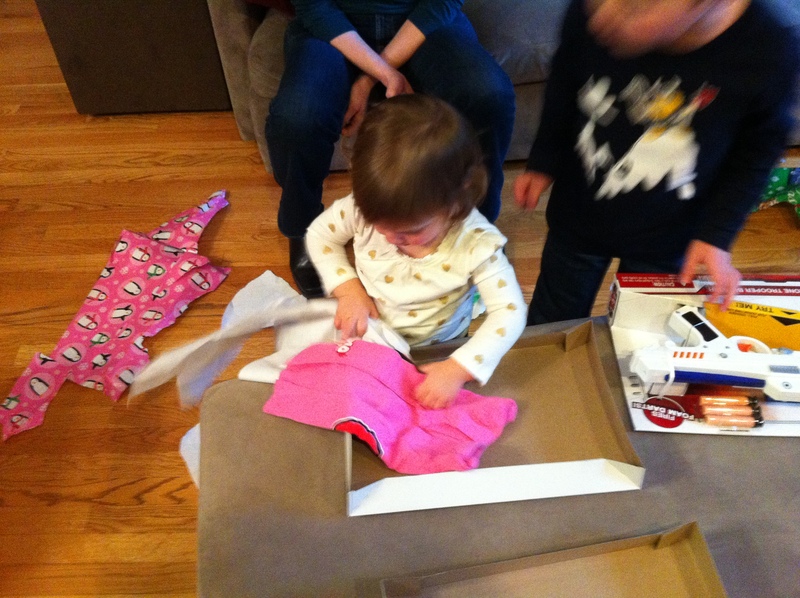 Anyway, here are some pictures of presents being opened and whatnot. 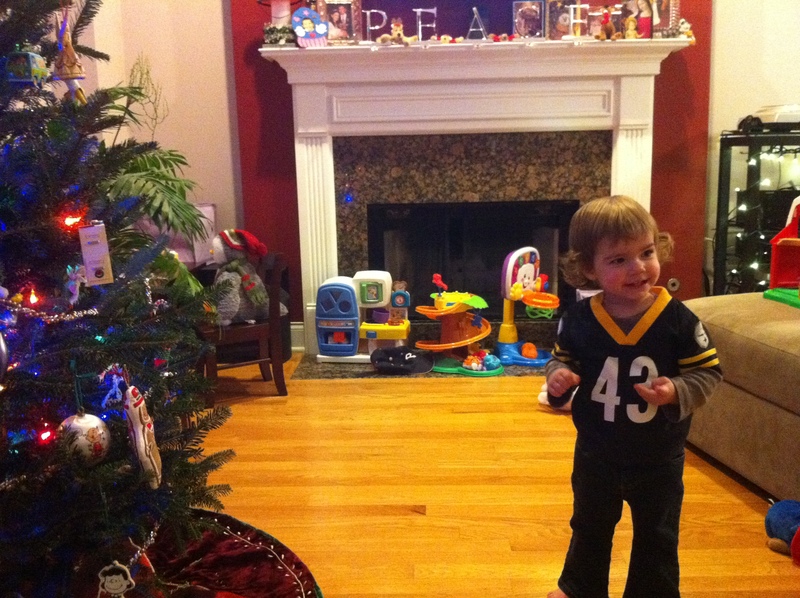 Zoe, Steelers, Christmas: this picture has it all. 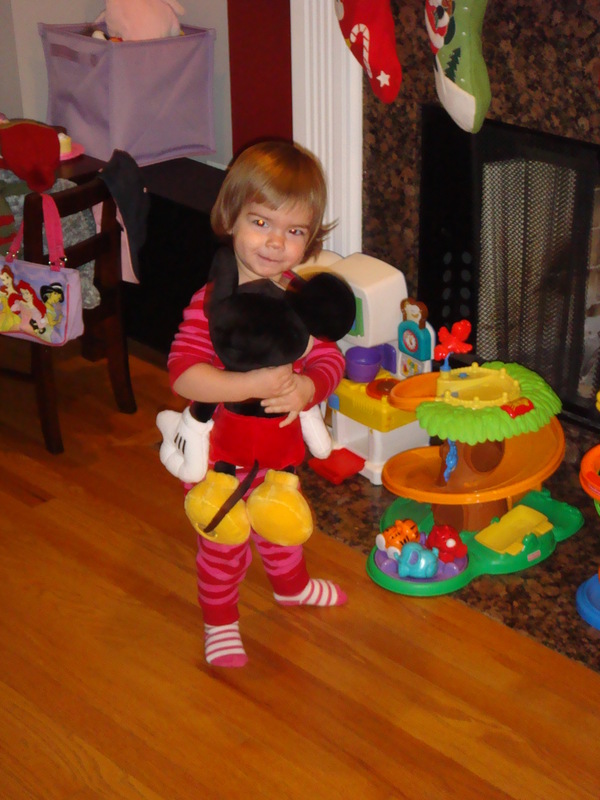 Here's Zoe with the Mickey Mouse that St. Nicholas brought her. 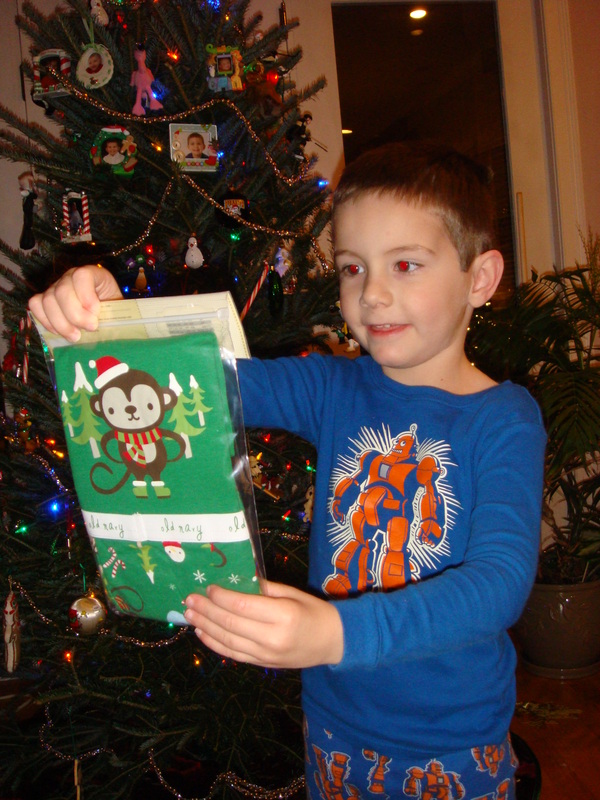 Nothing says Niklas like Christmas monkeys. 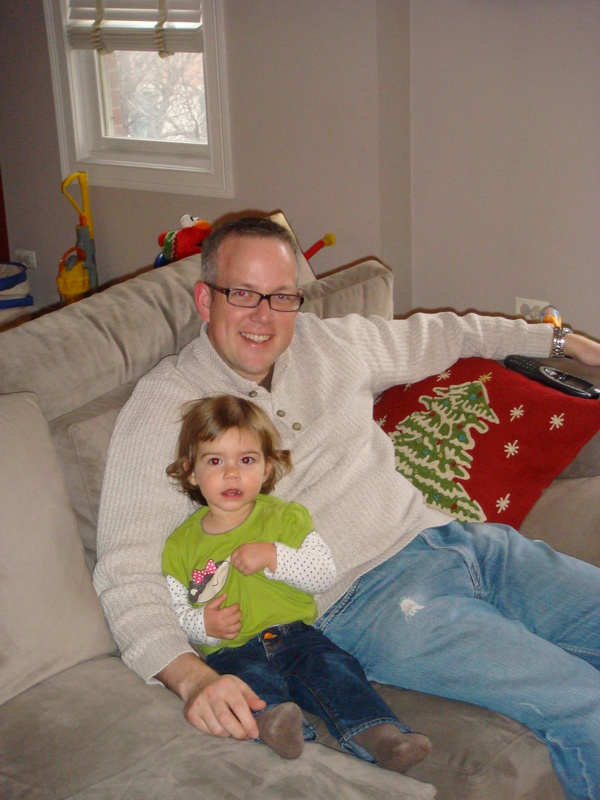 Here's Zoe hanging out Josh. I'm sure they were up to something hilarious. 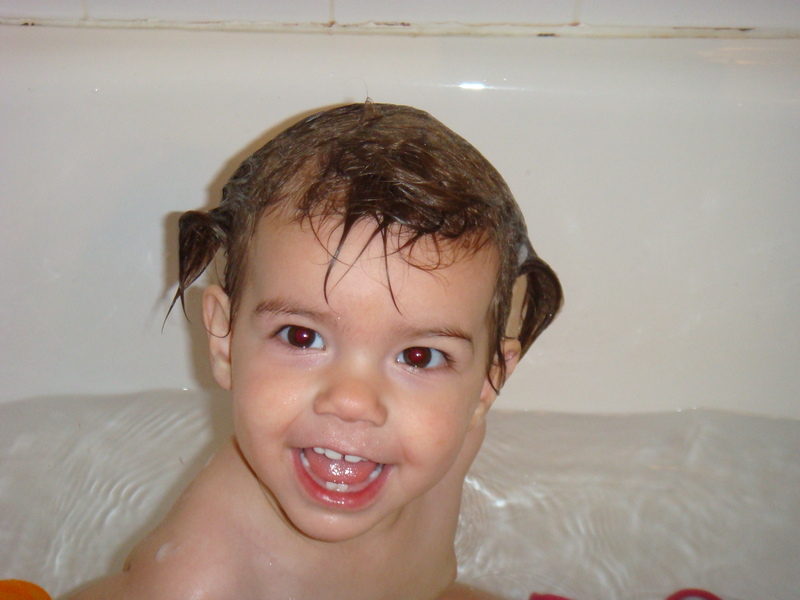 One day in the future, the pigtails will make their way out of the tub. 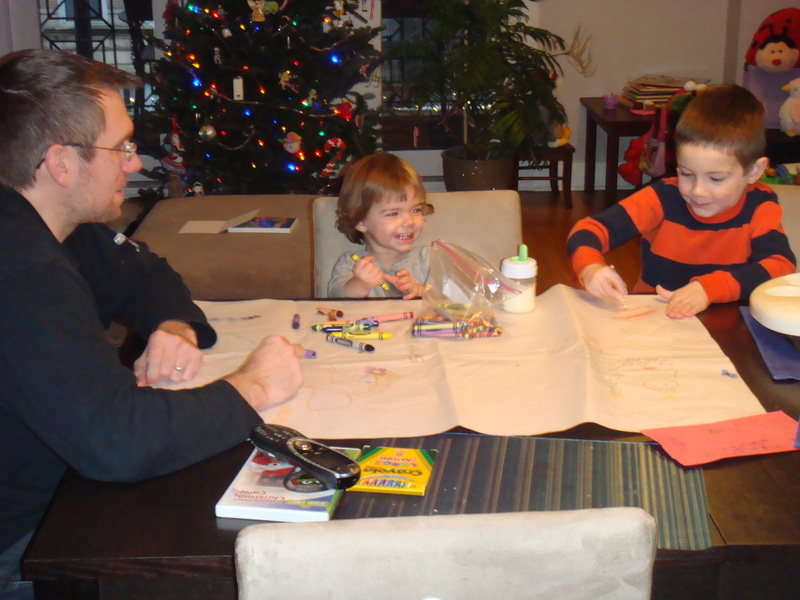 Here's Zoe, Niklas and I working on some sort of crayon based masterpiece so beautiful it cannot be shown here. 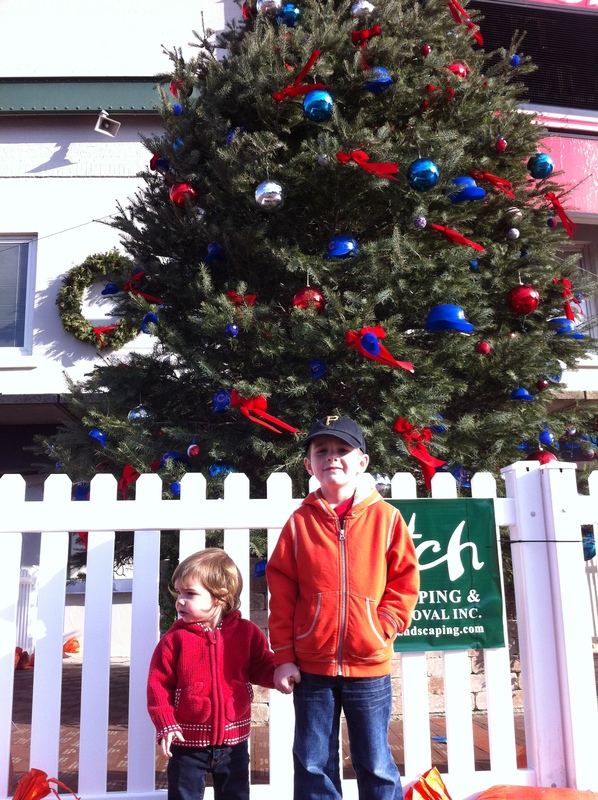 You can barely tell, but this is Niklas and Zoe in front of Wrigley. This is a better picture, but you can tell they're in front of Wrigley even less. 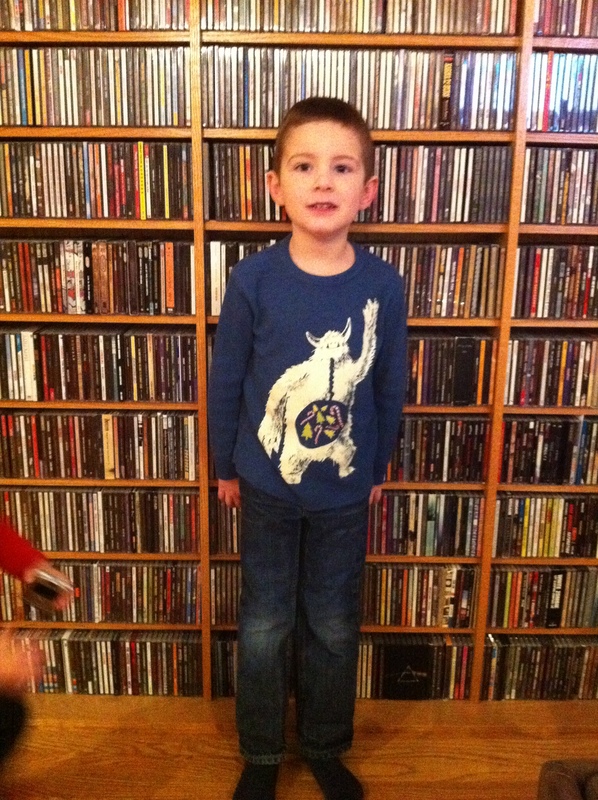 Here's Niklas showing off his Christmas shirt. 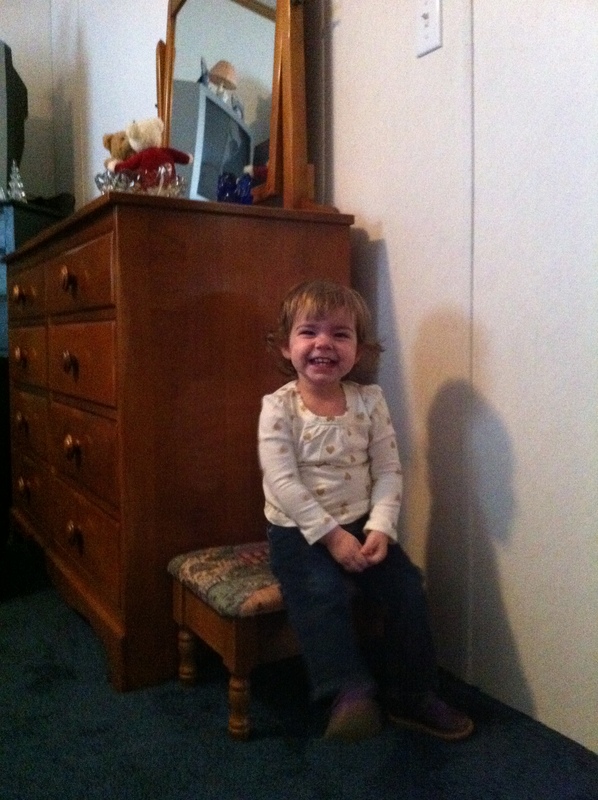 And here we are after Zoe saw that someone was taking a picture of something. 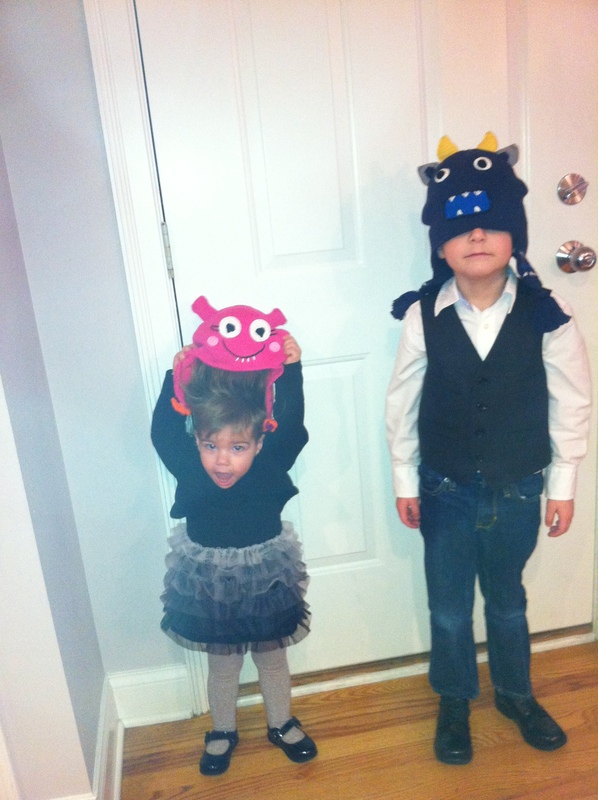 I call this one "Children Dressed Up For A Holiday Party With Crazy Hats And Way Too Much Flash". 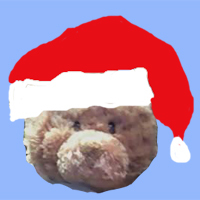 I'm not feeling terribly imaginative. 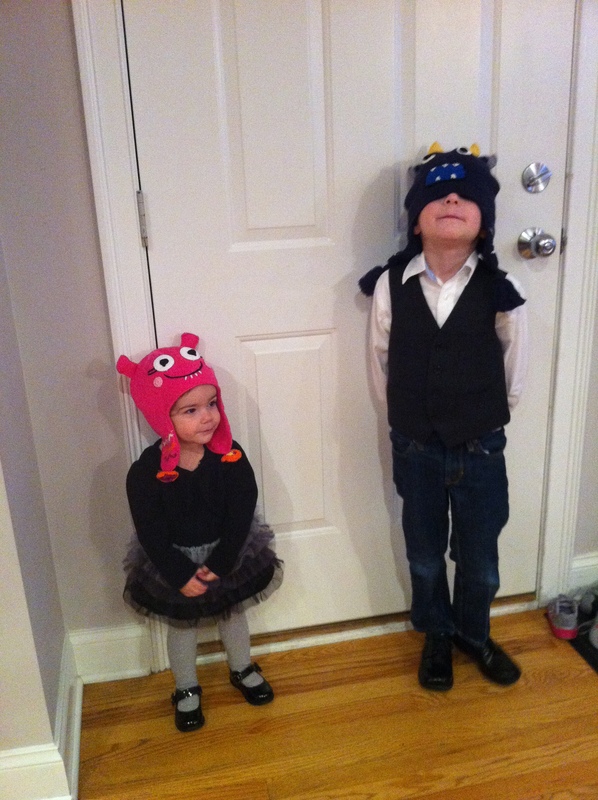 Here's a similar one taken after I decided I had no real reason to blind the children. 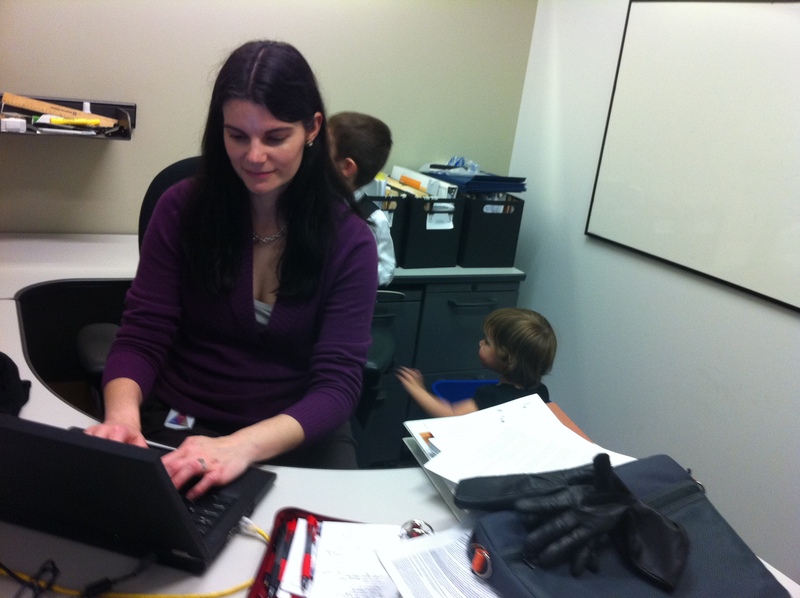 Does Andrya work better when surrounded by her children? Possibly? 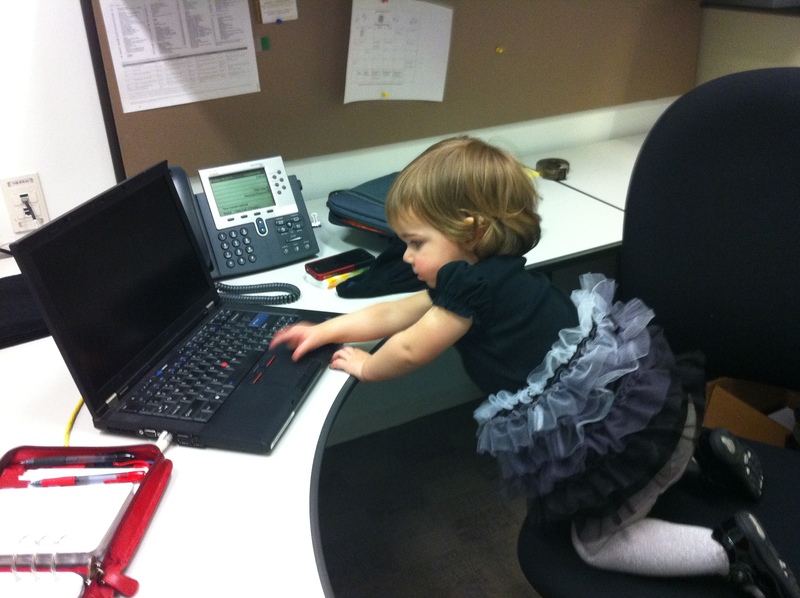 Zoe feels her mischief could really be aided by technology. 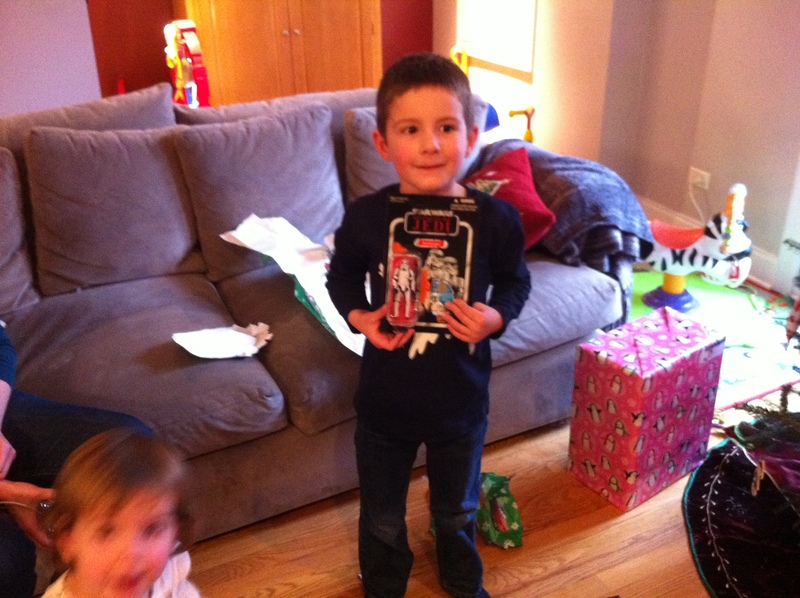 Here's Niklas negotiating a trade of cookies for Star Wars merchandise. Zoe is not much of a lap sitter. 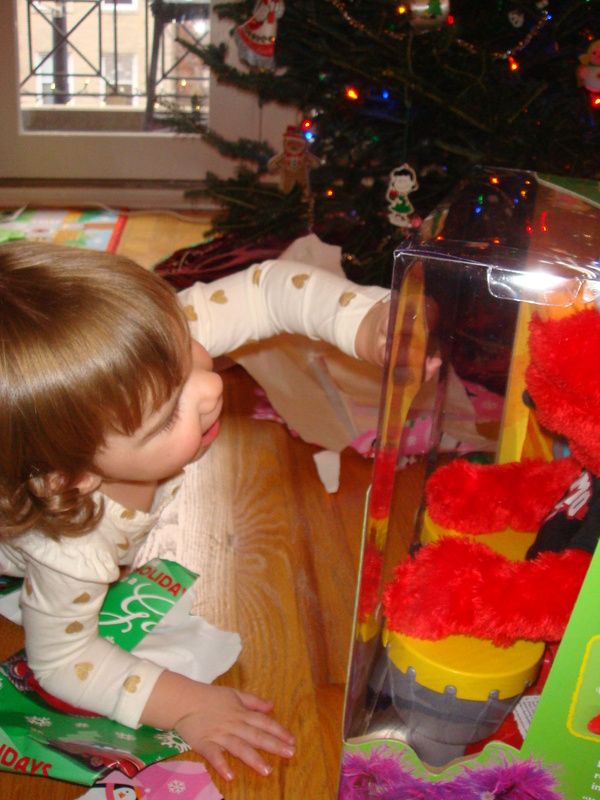 Despite only being able to offer cookies made by me, Santa still came through with the Elmo Zoe asked for. Niklas is pleased to discover that the toy Great Grandma Smith gave him makes an excessive amount of noise. 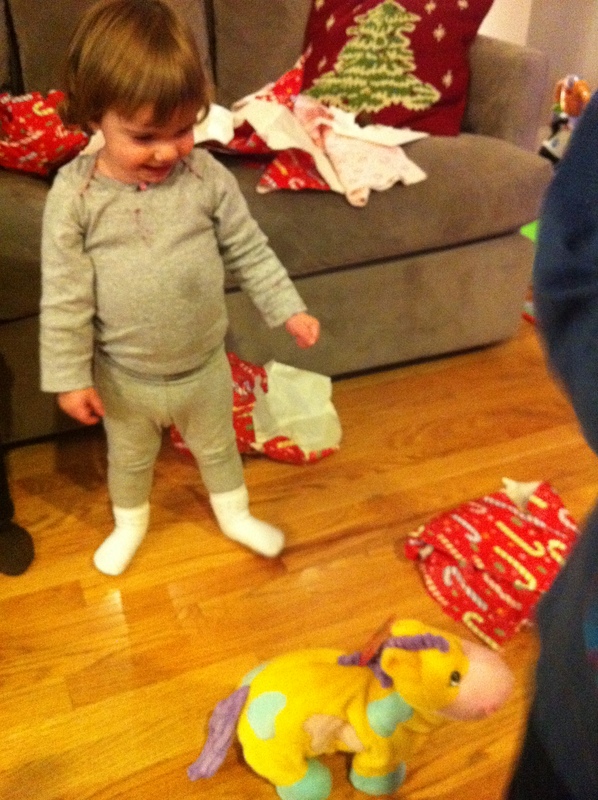 Zoe was also excited about the ruckus raising ability of toy my grandma got her. It's a dinosaur that looks like a horse for some reason. Paper to rip! Paper to rip! Woooooooooo! 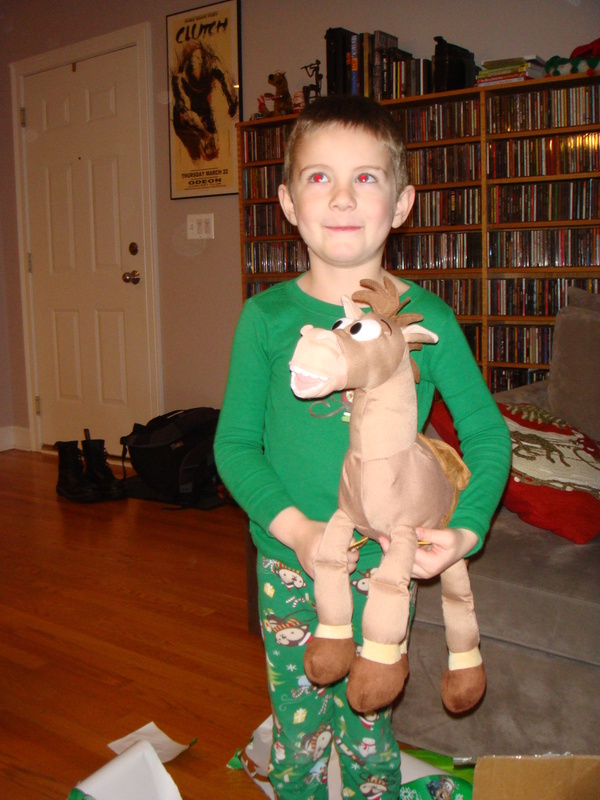 Here's Niklas and the Bullseye he got for Christmas. He also looks like he's up to something... but what? 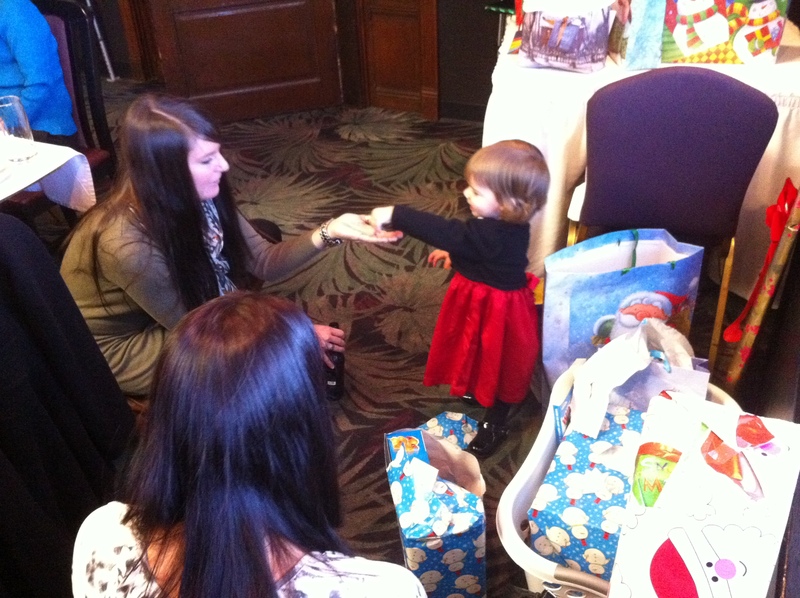 Here's Zoe, Andrya's cousin Shannon and the back of Zoe's Godmother's head while Zoe tears into the impressive amount of loot she got from Kendra. 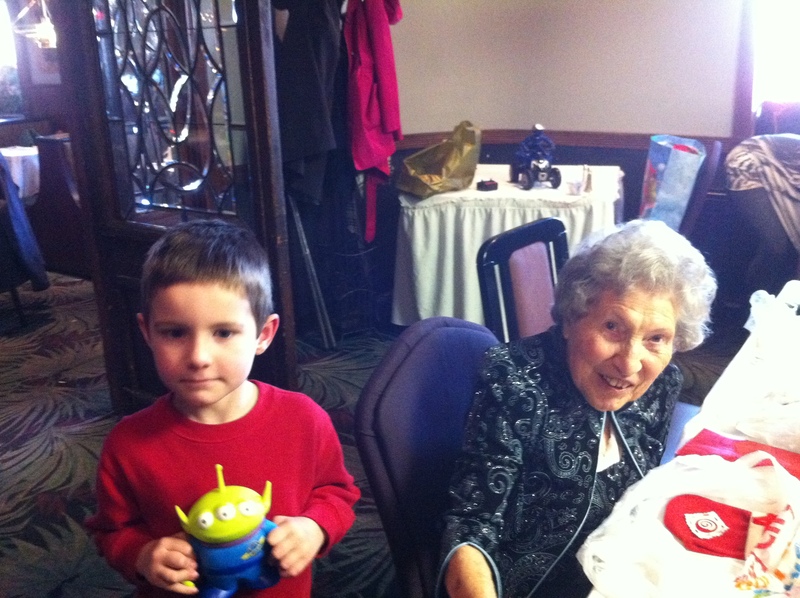 Niklas shows off the alien he got from Great Grandma Forcade. 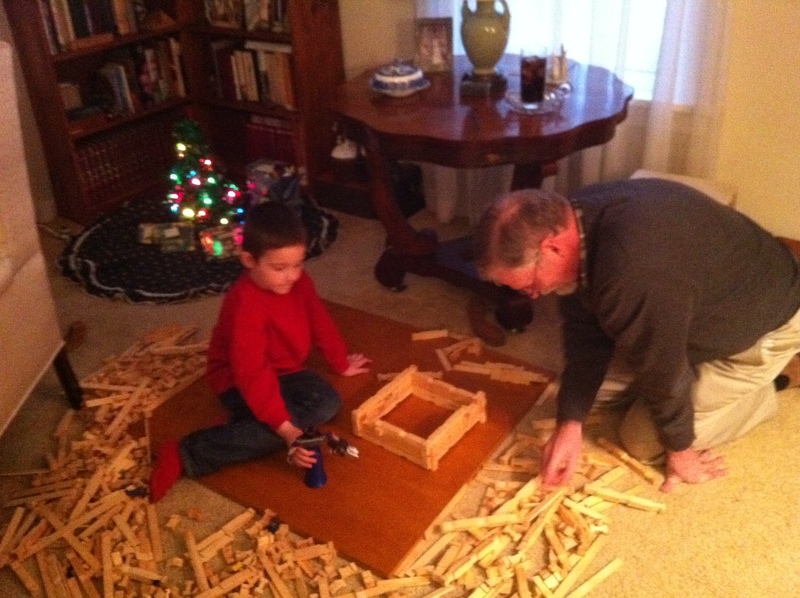 Here's Niklas and Papa Meeker rebuilding what was once an impressive Lincoln Log fort that got Zoe'd. 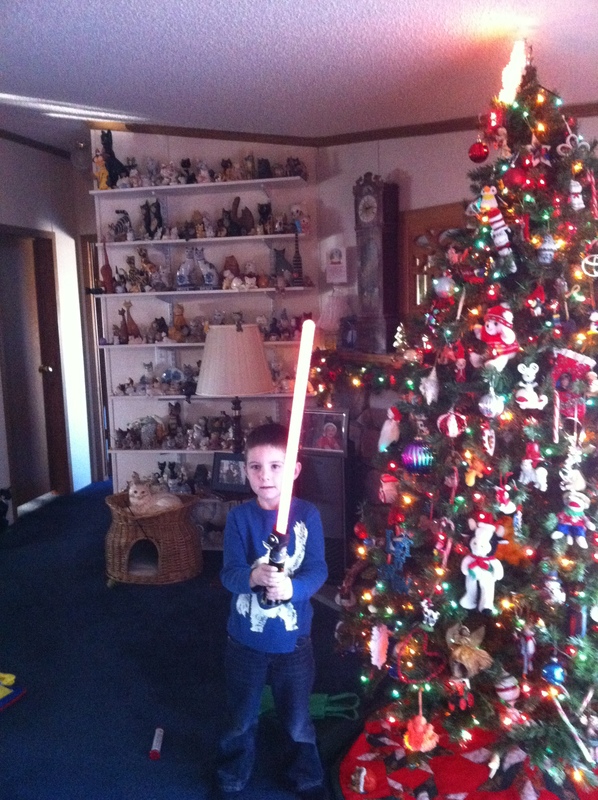 As the only person in the house with a lightsabre, Niklas was in charge of guarding Grandma Vennard's tree. 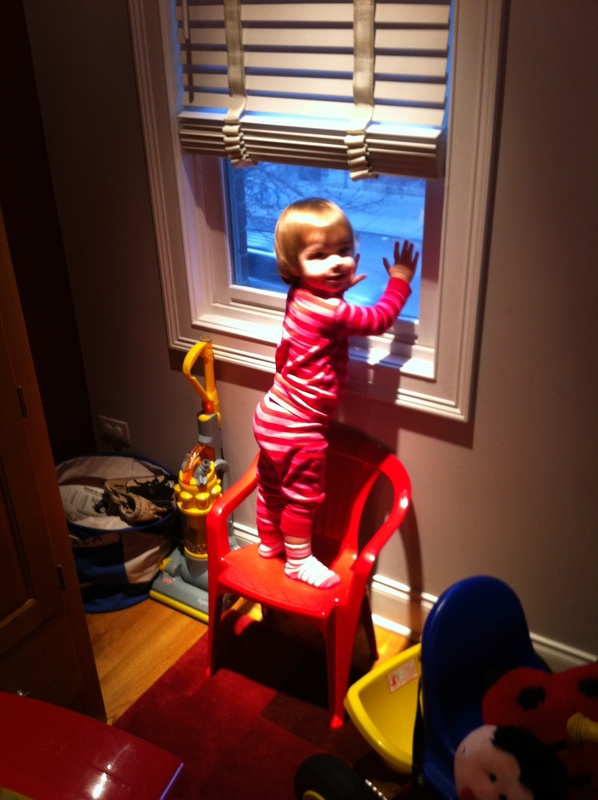 Here's Zoe, just cuting up the place. 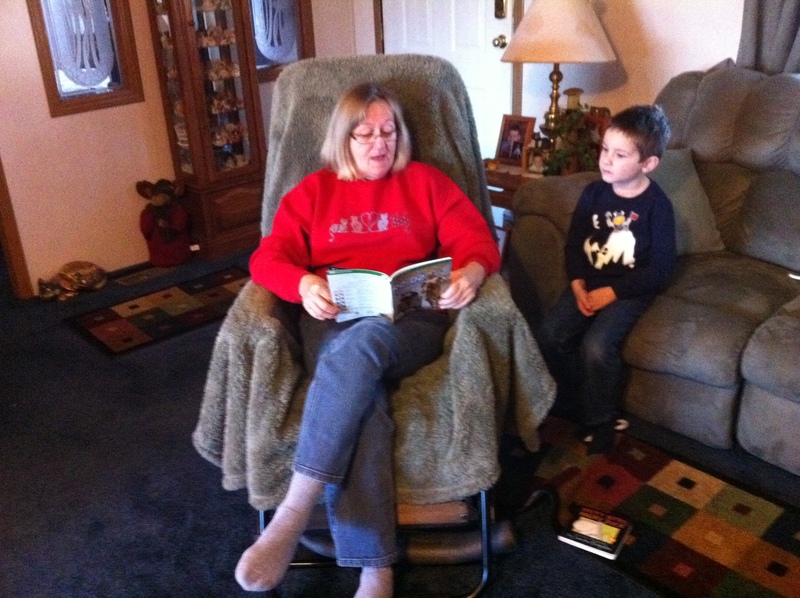 Grandma Vennard regales Niklas with tale of droids and adventure. 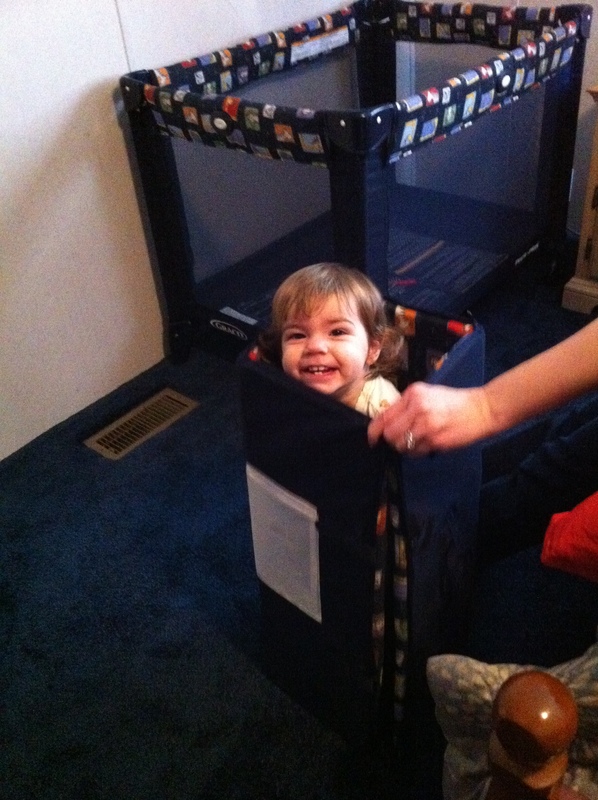 Since Zoe's not a fan of car travel, we thought about boxing her up for shipping. 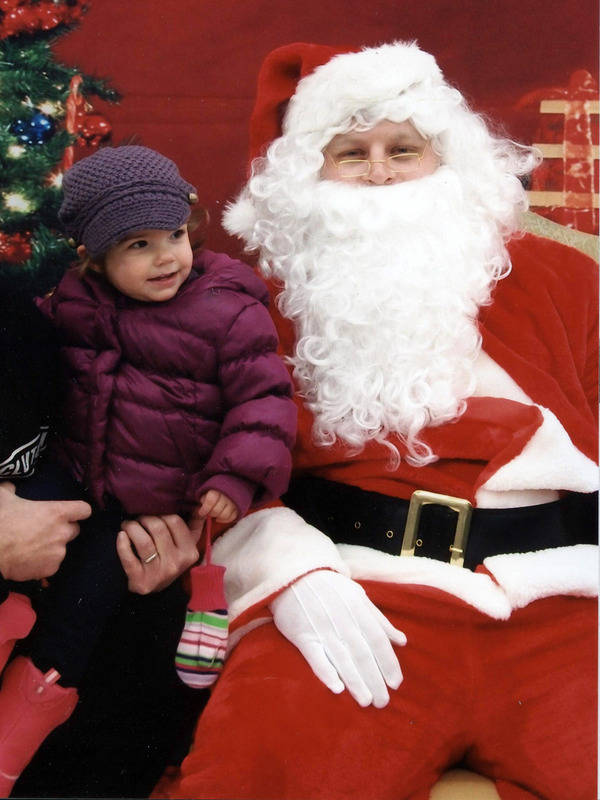 Here's Zoe with the Elmo's Incessant Noise Maker she got from Santa Claus. 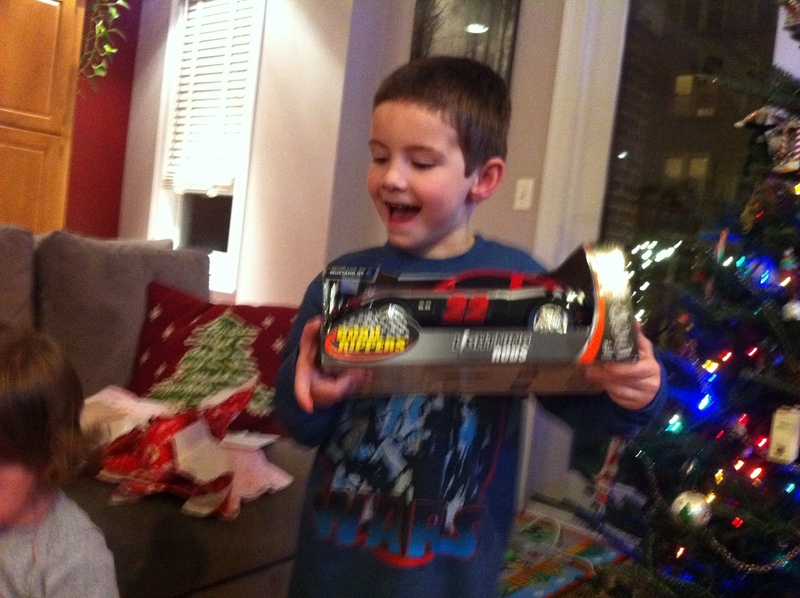 Santa got Niklas a Storm Trooper. His helmet comes off. 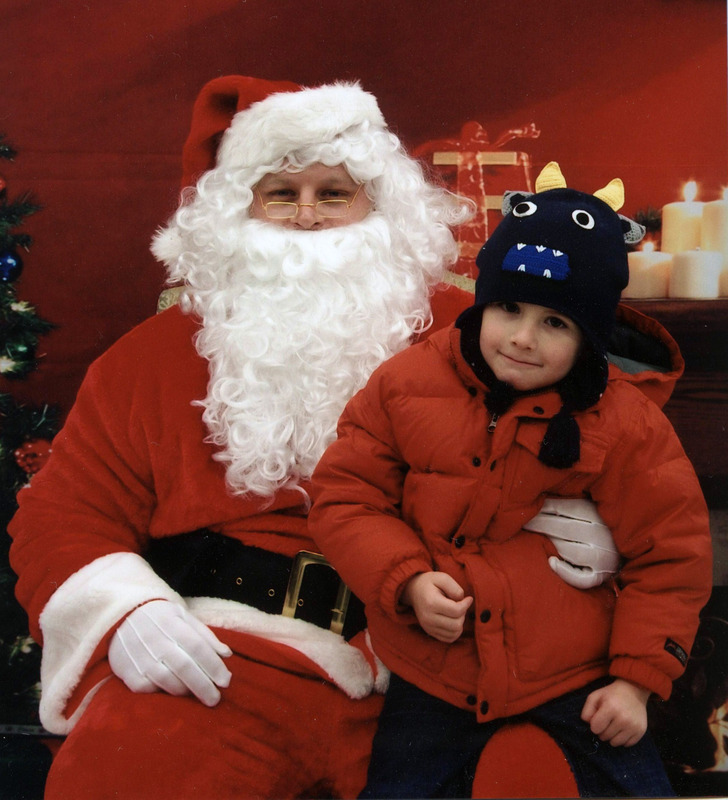 Where was that in 1983, Santa? 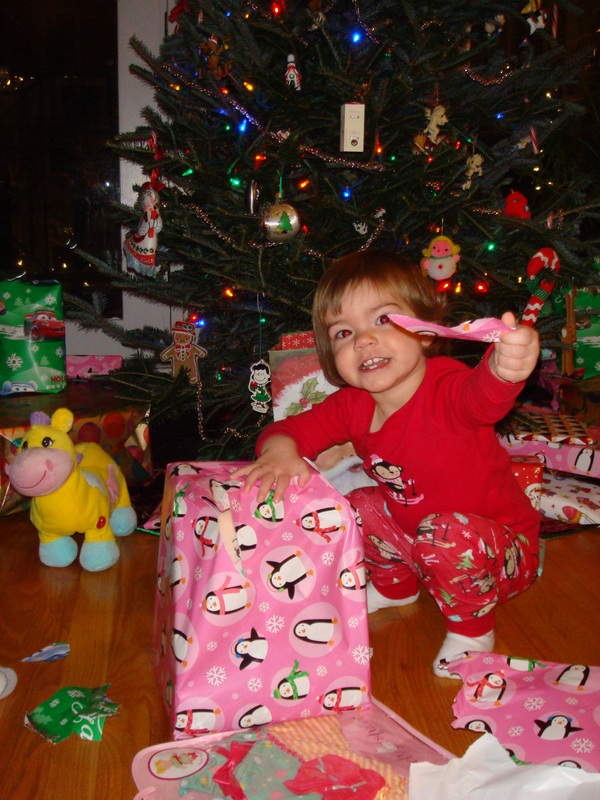 Tearing into presents is always a good time. 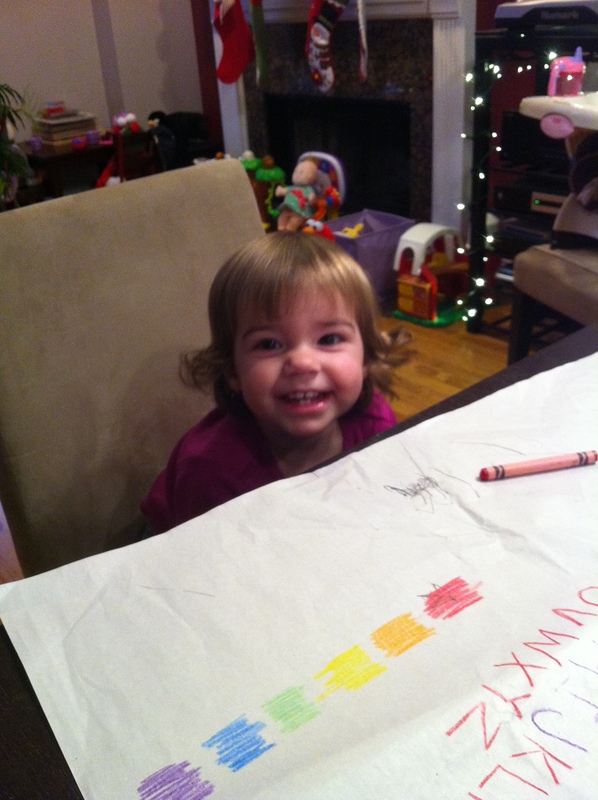 Zoe's all about the coloring these days. 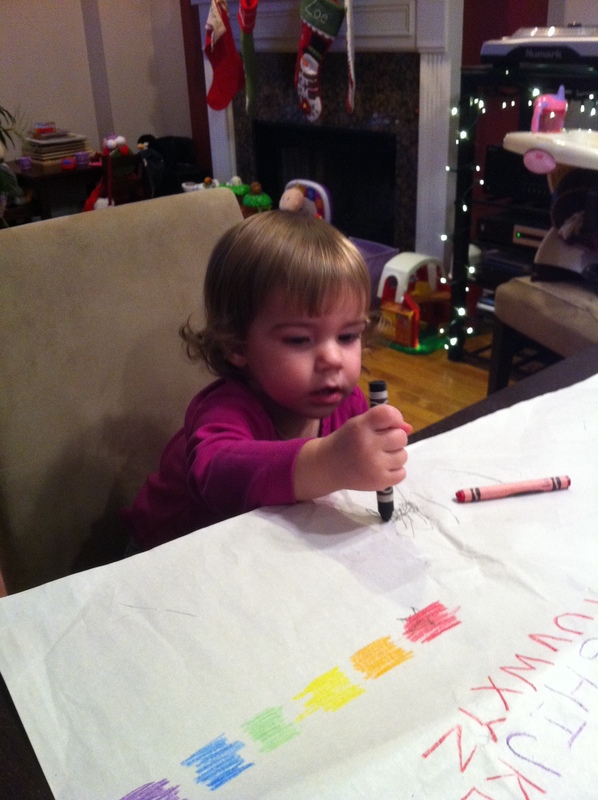 As a bonus, she usually does it on paper. 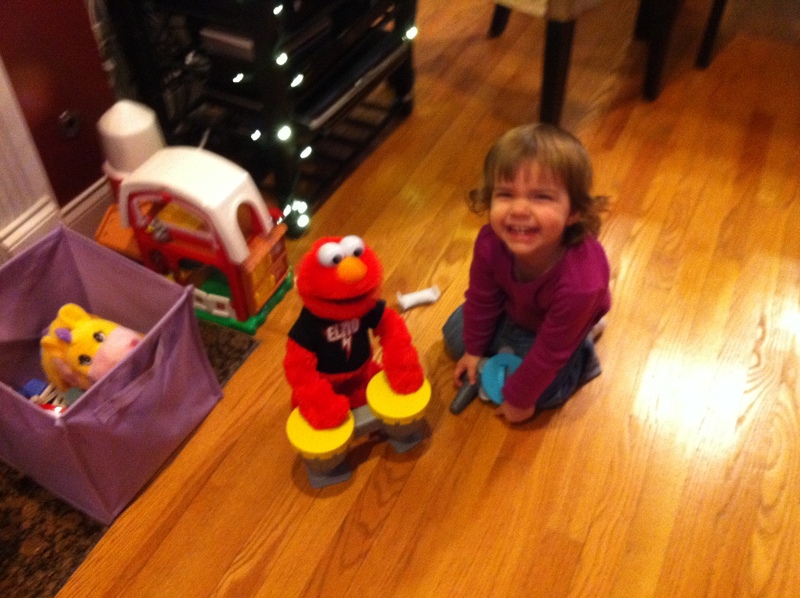 Rockin' Zoe rocks out with Rockin' Elmo in a rockin' display of rock.. 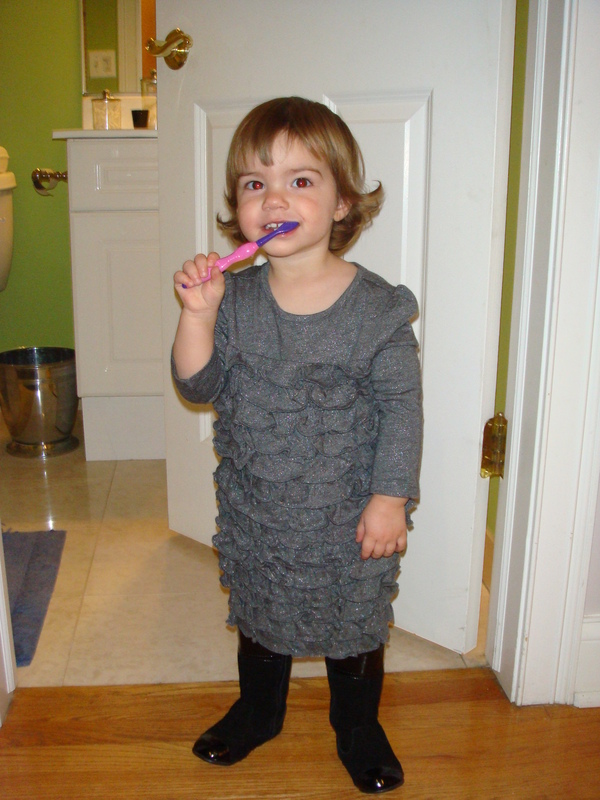 Here's Zoe brushing her teeth after running away from me for ten minutes when I was trying to brush her teeth. 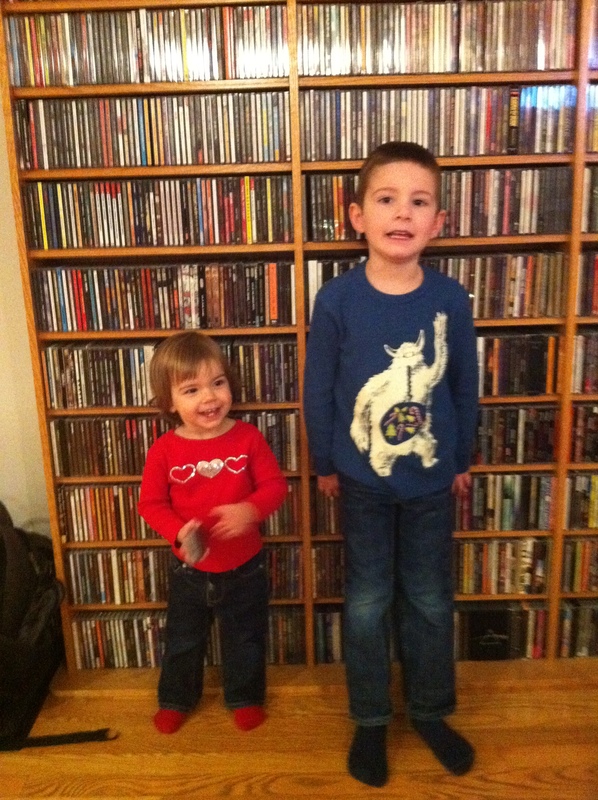 Niklas and Zoe had Alice and Thomas over for some playing. 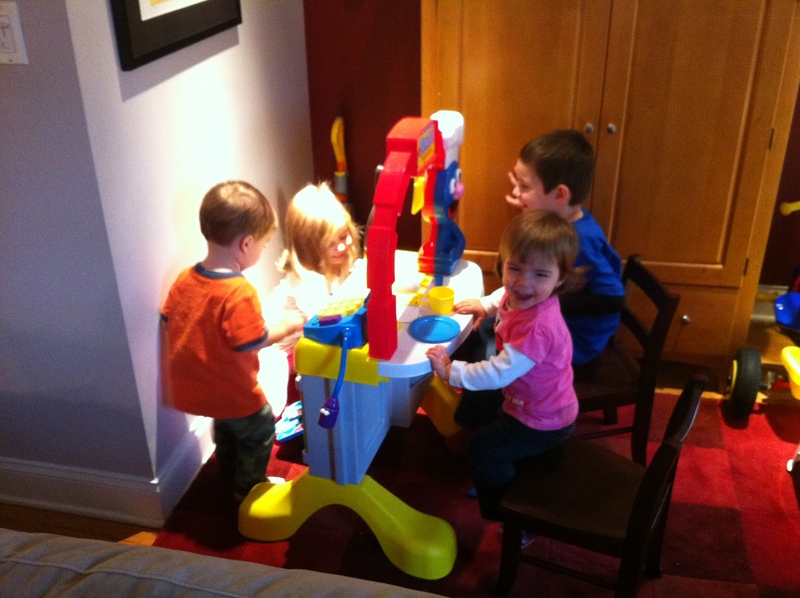 There was much less brawling than when my children play by themselves.